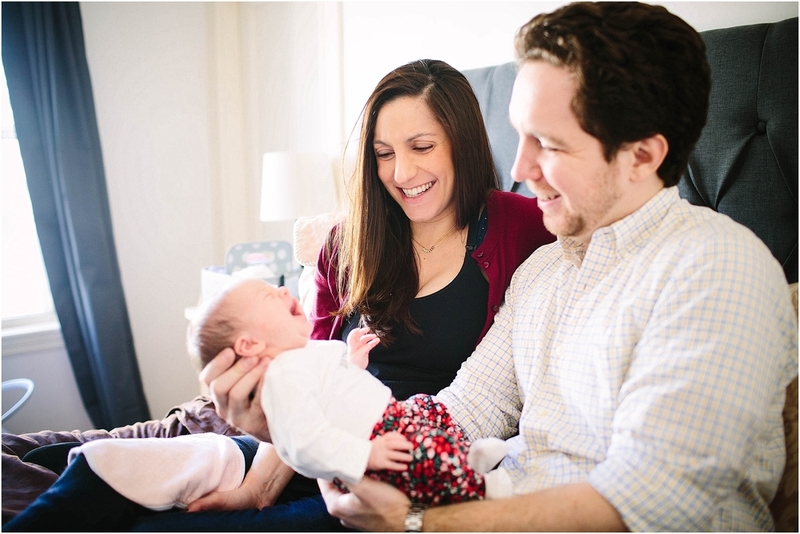 McCarthy Family - Welcome Marielle! You just met Norah on the previous post, so it makes sense that her future best friend should be in the next one! 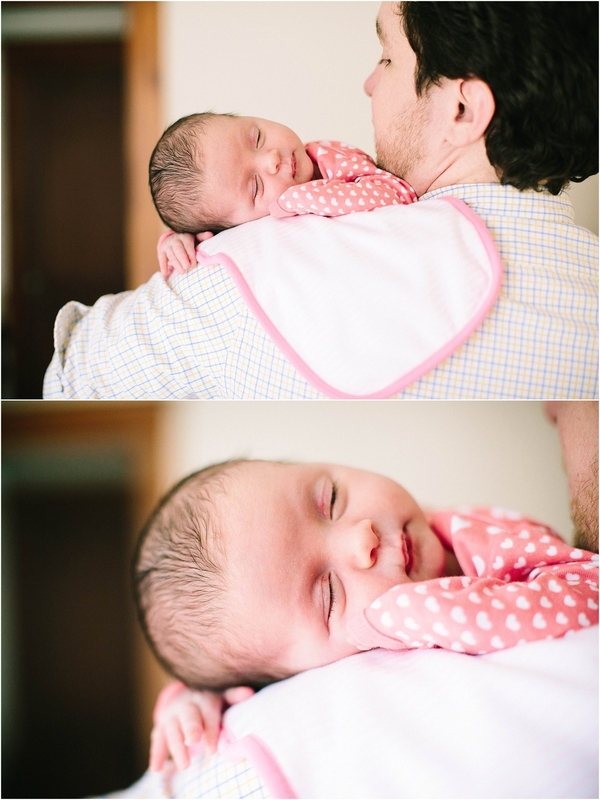 I was introduced to Jenna and Justin through Michelle and Matt just before their little one arrived and they were very keen to document her first days as a McCarthy. Marielle (love the name!) didn't like any of the outfits she was changed into which should not be interpreted as a critique of her mama's fashion sense :) They have a lovely warm and inviting home, Justin and Jenna are excelling in Parenting 101, and I think Marielle is going to be just fine, even if she thinks her clothes aren't. Can't you just see her and Norah being fast friends? Welcome little Mc!